A lovely racy acidity that is the hallmark of the 2014’s, but countered nicely by some classic Grüner spice and plump melon fruits, finishing dry. Lovely clean refreshing wine. Drink by itself, with seafood, or herby salads. Michael Malat, like his father before him, makes a bewildering number of wines, most very good, and a few excellent, from a huge number of grape varieties. 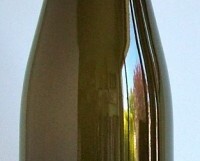 The sparkling wines are very fine,but it is his Rieslings and Grüner Veltliners that stand out for me. I am delighted to see they are now available in Ireland. If you fancy really treating yourself, the Alte Reben Höhlgraben for €32 is superb.